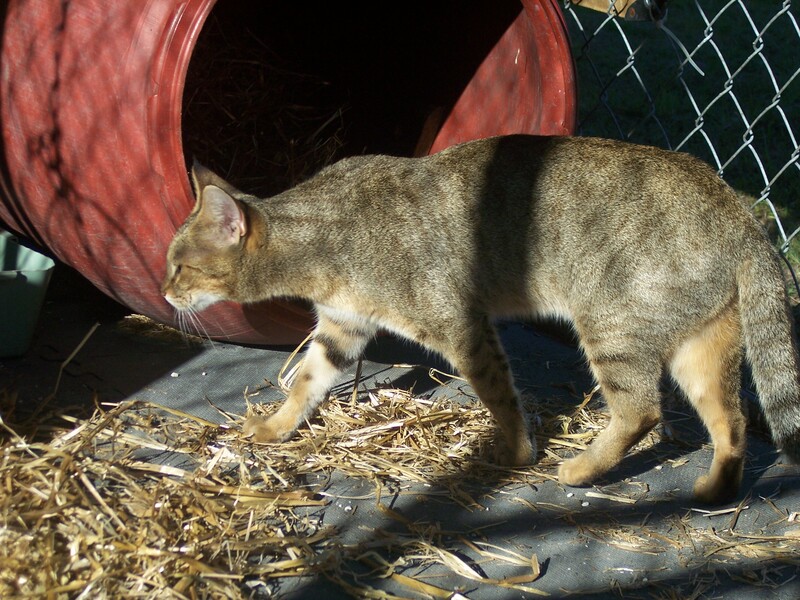 Jungle Cat hybrids are a cross between an African Jungle Cat and a domestic cat. The 1st generation is referred to as "F1". 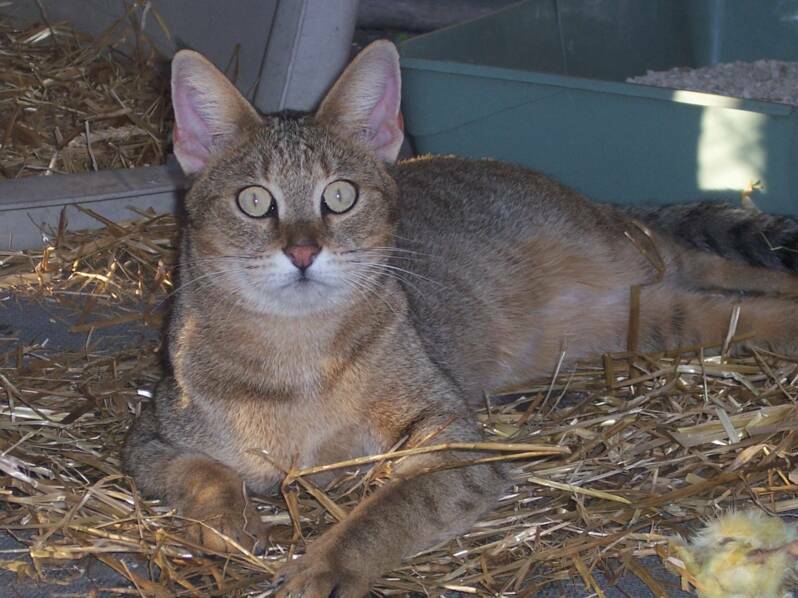 When you breed a pure African Jungle Cat with a domestic cat, the kittens are 50% Jungle Cat (wild). When you breed one of those kittens with another domestic cat, then you get 2nd generation kittens, "F2s", which are 25% Jungle Cat. "F3"s are 12.5% Jungle Cat and "F4"s are 6.25%. All males are sterile until the F4 or F5 generation, and therefore cannot be sold as breeders. 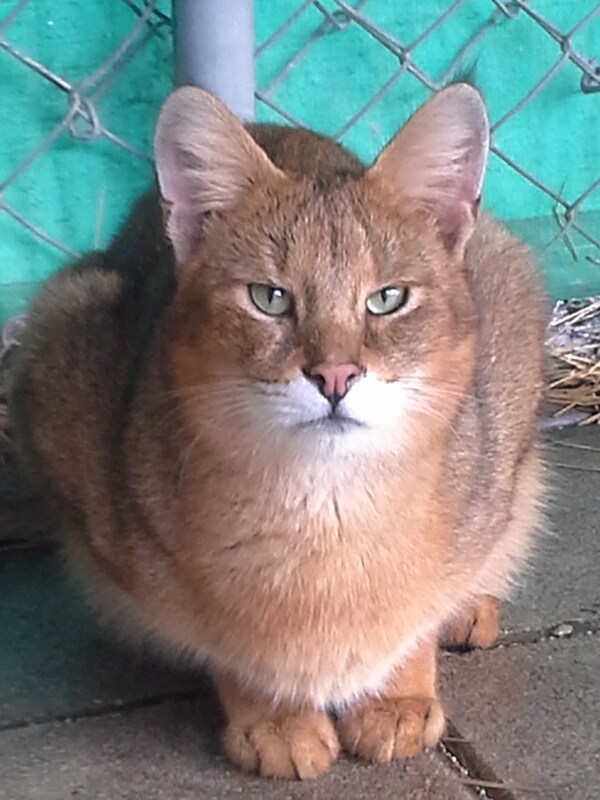 Jungle cat hybrids are different from regular domestic cats. They are not like regular cats. They would rather be playing and exploring than lying around. They retain the appearance and intelligence of the Jungle Cat but have the affectionate temperament of a domestic house cat. They are very active and request a lot of attention. Toys and other play things help keep their active minds busy, especially as kittens. They are known to be very doglike. They can be leash trained, taught to fetch, sit, and give a paw. They also love tug of war. They love being with you and "helping" you with everything. And yes, THEY think they are helping! They are extremely smart and can figure out most anything. They thrive on attention from you so the more you give, the happier they are. They also love water and love taking showers with you or playing in small pools. 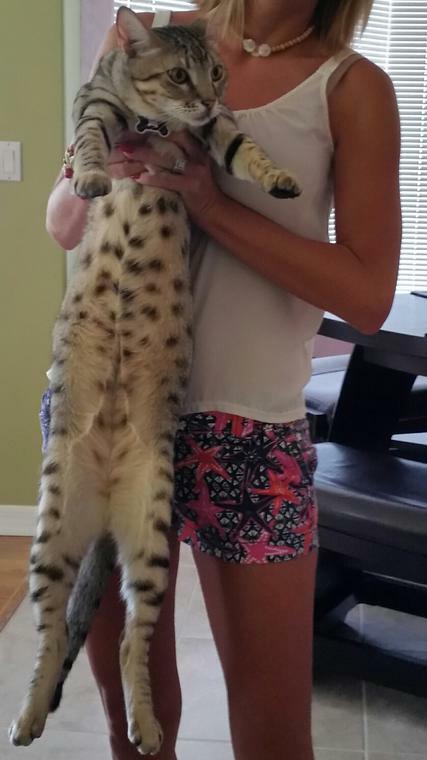 Jungle cat hybrids are “wild” looking, with lean, powerful bodies, long legs and necks, and large ears (sometimes with ear tufts). Size also contributes to their popularity. Although there is no guarantee on the adult size of any given kitten, they are generally larger than domestic cats. The F1 generation cats range from 20 to 30 lbs and the F-2 range from 18-25 lbs. 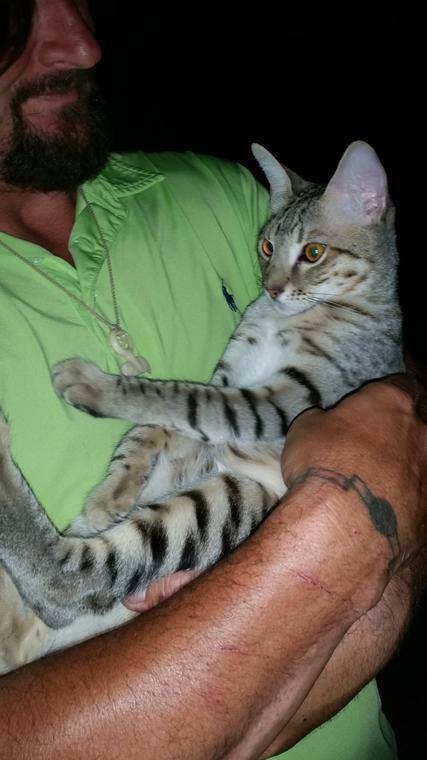 A Jungle/Savannah is a Jungle Cat hybrid MIXED with a Savannah. So you get the best of both worlds! The dog-like personalities, affectionate temperaments, smart, active, and muscular bodies. and with the addition of the Savannah, you also get height, great temperaments, and all the great spots! AND WHAT IS A JUNGLE/SAVANNAH?